There are several myths and misconceptions surrounding VA home loans. 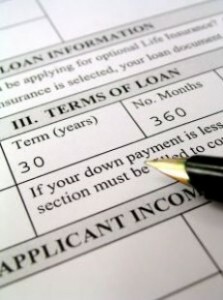 Many Zionsville, IN home-buyers are not aware of eligibility, multiple purchase rules, and safety of these 0% down loans. As a military veteran, don’t let outdated or bad information keep you from exploring your hard-earned home loan benefits. In honor of last month’s Memorial Day, here are a list of four VA Loan myths. Don’t let them hold you back! Myth #1: VA loans cost more. In reality, the interest rates, upfront expenses and closing costs aren’t inherently more with VA loans. Rates tend to be competitive with conventional loans, if not below. When you also consider the no down payment requirement and no need for mortgage insurance a VA loan is very comparable to conventional loans and quite “cheaper” than FHA loans, both which require minimum down payments and mortgage insurance. Myth #2: You can only use the benefit once. In reality, qualified borrowers can use the VA loan program over and over again. It is also not a benefit exclusively for veterans, a small percentage of VA loans went to active-duty military in the last year. Myth #3: Your purchasing power is limited. Qualified borrowers in most of the country, including Zionsville, IN can purchase up to $417,000 without a down payment. Please note, this doesn’t restrict how much home you can buy in Zionsville, IN, but, limits how much you can borrow before having to figure in a down-payment. Myth #4: VA loans are risky loans. VA loans actually have the lowest foreclosure rate of any loan on the market, for nearly all of the last six years. Whether this stability is due to common-sense underwriting or the VA’s commitment to keeping veterans in their homes, you can feel secure taking out that VA loan. When you are ready to purchase your dream home contact an experienced Zionsville, IN real estate agent. We are committed to providing you with the highest quality buyer service. We hope to speak with you soon!